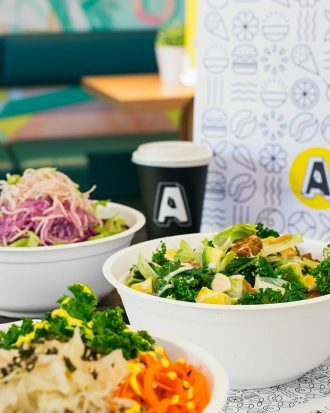 Looking for a healthy vegan lunch break on St Kilda Road, Melbourne, complete with biodynamic wines and the most believable plant-based ‘bacon’ this side of seitan? 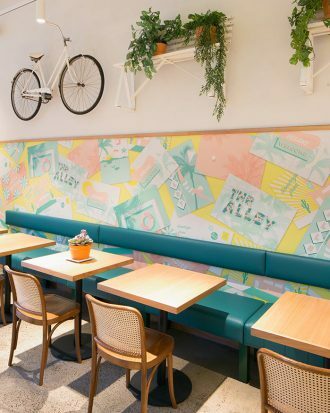 Slip inside The Alley and see what the fuss is all about. I’ve been a vegetarian/pescetarian since February 2015 after I watched this videoof a pig in a dress being lovingly groped by a cat. It probably seems like a ridiculous reason to stop eating meat, but all of a sudden I couldn’t stomach the thought of eating delicious, mouth-wateringly salty bacon with my avo and poached eggs on toast. But as much as I enjoy the smell of bacon (and explaining my food choices at length over and over again to carnivorous colleagues), I haven’t really missed eating meat, as there are so many fantastic plant-based options that hit the spot. Melbourne has a range of great vegetarian and vegan restaurants popping up, and I’ve recently been introduced to The Alley – owned by Alexandra Pyke – on St Kilda Road. 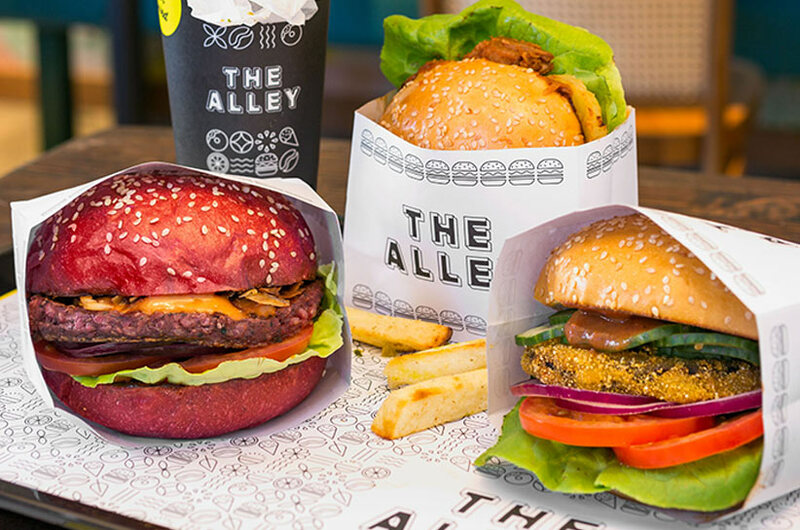 Serving a wonderfully diverse range of vegan and gluten-free meals from breakfast to salads, burgers and pasta, The Alley offers something for everyone – even if you’re not of the vego persuasion. Primarily catering to the busy office workers of the area, the menu can just as easily be eaten at your desk if you don’t have the time to sit in. A self-service fridge holds freshly made breakfasts and salads that are great to grab for brekky or lunch on the go, but if you can make the most of your lunch break, the burgers are where they steal the show. TIP: The vegan chocolate chip cookie is a sweet little morsel to grab for afternoon tea. At the launch of their dinner menu, they served slider versions of their burgers, which was a great way to get a taste of everything without filling up. The Maple Bacon burger was delicious, with a crumbed mushroom patty, coconut bacon, pickles and their super tasty carrot ketchup. I also had a taste of the Beet Steak burger, which feels like you’re eating a vegetarian burger rather than pretending to be a beef burger. It was great, but I have always been fond of veggie patties. I’d actually already been in for a bite after checking out the Van Gogh exhibition at the NGV a few weeks ago. I stopped in for lunch on my walk home and grabbed the Hawaiian Burger and a cup of vegan mac and cheese. The burger, made from bbq sauce soaked jackfruit and topped with a grilled slice of pineapple, was quite sweet and smoky, with the texture of pulled meat. A little bit messy, it definitely hit the spot. 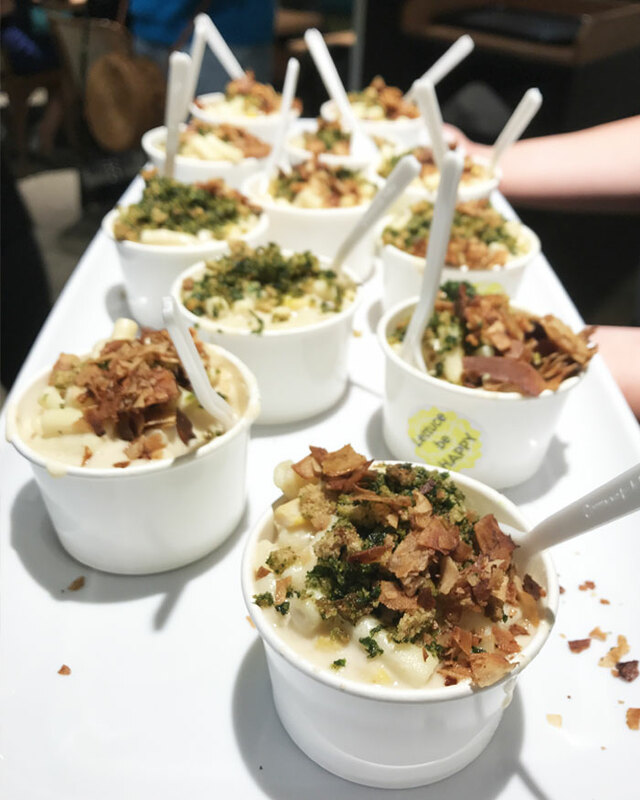 The mac and cheese, made from cashew cream and topped with coconut ‘bacon’ had the texture of the real stuff, but it didn’t quite go the distance unfortunately. It’s a difficult ask though, seeing as the real stuff is so incredibly good, so mad props for giving it a crack. For dessert, they dished up the most impressive item on their menu. As a miserable, lactose intolerant creature of the night, anywhere that can dish up believable vegan ice cream gets a pretty big tick in my book. Enter: The Alley’s Chocolate soft serve ice cream. I don’t know what it’s made from, but it’s vegan, gluten free and delicious. Unfortunately, they’re not open on weekends – but they are licensed, making them a great spot for after work dinner and drinks or a boozy, ethical client lunch. It’s a win for the animals, and a win(e) for you. Thanks Siri! 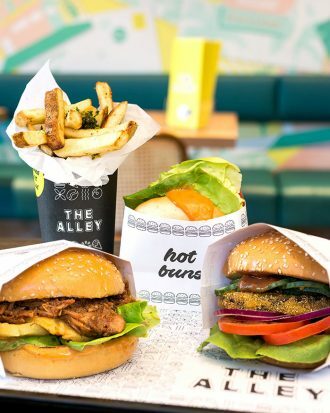 It’s pretty easy being vego, although I almost miss a good burger. These places really hit the spot!